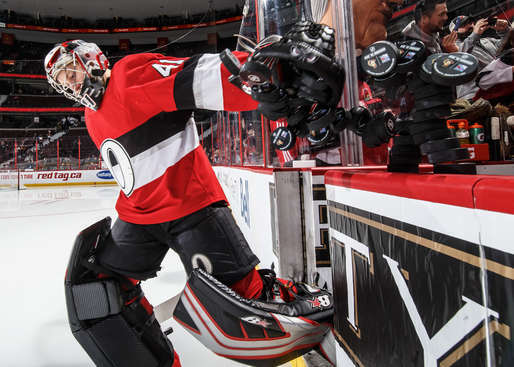 OTTAWA — Craig Anderson made 27 saves for the Ottawa Senators in a 3-0 win against the New York Rangers at Canadian Tire Centre on Thursday. Anderson ended a personal four-game losing streak and got his first shutout of the season. Drake Batherson and Duchene each had a goal and an assist, and Magnus Paajarvi scored for Ottawa (11-12-3), which has won two straight. Henrik Lundqvist made 31 saves for New York (13-11-2), which is 1-3-0 in its past four games. Batherson redirected a cross-crease pass from Duchene to give the Senators a 1-0 lead at 2:06 of the first period. Paajarvi beat Lundqvist blocker side with a wrist shot at 14:35 to make it 2-0. Duchene scored on a one-timer into an open net off a cross-ice pass from Batherson to extend the lead to 3-0 at 17:00 of the second period. Ryan Dzingel had an assist on the play for his 100th NHL point. Rangers defenseman Kevin Shattenkirk did not take a shift in the third period. Quinn said the reason for sitting Shattenkirk would stay between coach and player. … Ottawa is 8-0-0 in its past eight home games (Stanley Cup Playoffs included) against New York.